Dr. Carla Bryant is an Assistant Professor of Education in the College of Education at Southern Arkansas University and the director of the Gifted Education, Special Education, and Dyslexia Teacher Preparation Programs in the School of Graduate Studies. She received her Bachelor’s of Science in Sociology from Southern Arkansas University with a minor in Psychology in 1990 after which time she worked in the social work field for approximately 10 years. Through an alternative route to teacher certification, Dr. Bryant earned her first teaching certification in 2000 in the area of Special Education; followed by Texas and Arkansas teaching certifications in elementary education, gifted education (K-12), and public school administration (K-12). She earned a Masters of Education in Educational Leadership from Sam Houston State University in 2003. In 2010 Dr. Bryant received an Ed. D. in Educational Administration and Supervision with a co-emphesis in Gifted Education from the University of Arkansas in Little Rock. Dr. Bryant has taught general elementary education, high school science, special education, gifted education as well as being a junior high school administrator. She has written numerous award-winning curriculum units and earned financial contributions to introduce experiences in her classroom which would otherwise be unavailable. Dr. Bryant was selected as the Arkansas Education Agency’s Teacher of the Year in 2007. Dr. Bryant has had the opportunity to study education in Belize, China, Japan, Romania, South Korea, and Thailand through nationwide and statewide competitive opportunities such as the Fulbright Memorial Scholarship, the Korean Foundation for Education, and the Bringing China to Arkansas program through UALR. She is a member of AGATE, AAGEA, NAGC, and CEC along with being very active in the local community through volunteer activities and civic club presentations related to awareness and prevention of Human Trafficking. Dr. Bryant has presented sessions at numerous state level conferences and at the National Association for Gifted Children Conference (NAGC). 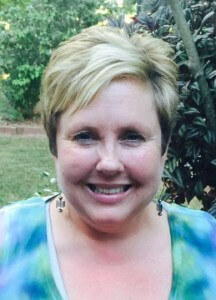 Prior to joining the faculty at Southern Arkansas University in 2010, Dr. Bryant was the gifted and talented district coordinator for a mid-sized school in Southwest Arkansas.